﻿ Book Hotel Balmoral (San Jose) - 2019 PRICES FROM $95! 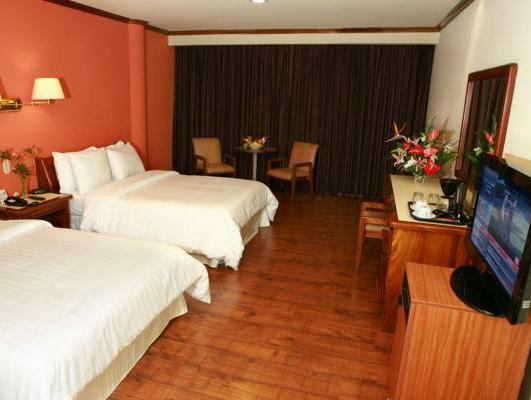 In the center of San José, Hotel Balmoral offers modern rooms with air conditioning. It features a 24-hour front desk, free Wi-Fi, a gym and a restaurant. 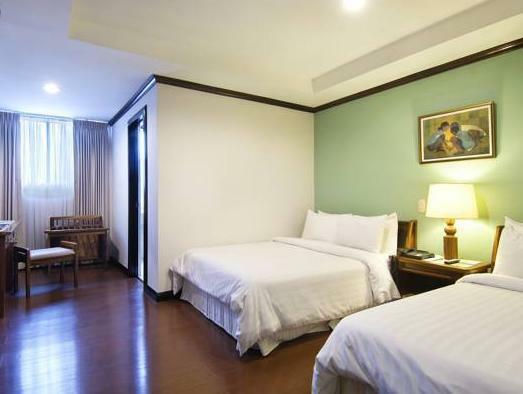 Each bright, modern room at Hotel Balmoral has simple, attractive décor. 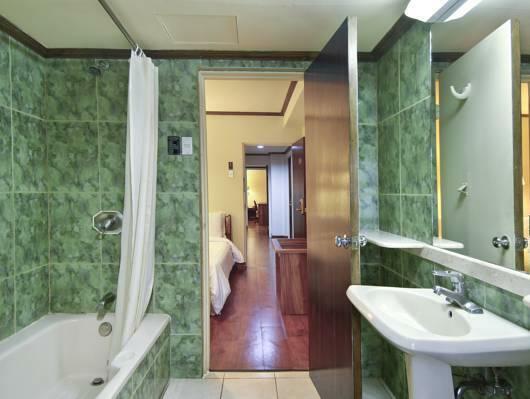 There is cable TV and a private bathroom with free toiletries. Guests can enjoy a range of international cuisine in the Balmoral’s restaurant. There is also a cafe. 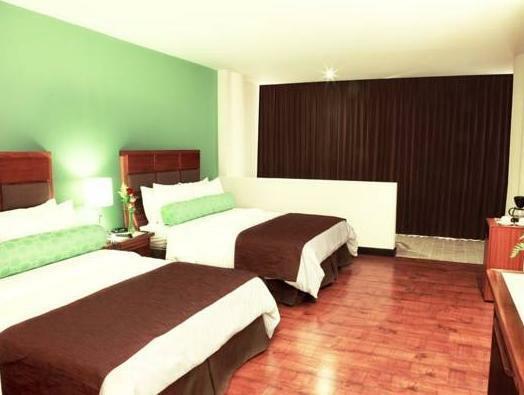 The hotel offeres easy access to San José’s public transportation and is just 12 miles from Juan Santamaria Airport. It is within a 20 minute walk of Costa Rica National Theatre and the National Museum. The location of the Balmoral is excellent as a base for exploration. Major museums and great restaurants are nearby. The front desk staff were not particularly welcoming or oriented for customer service, and oftentimes not focused. Other guests interrupted my conversation / business, and the hotel staff engaged with them instead of asking them to wait. This happened on two separate occasions. In the room, the bedding was ok, the pillows were satisfactory, and the room was clean. The cleaning woman assigned to my room was very helpful and friendly, and was absolutely willing to prioritize my room when I headed off to the gym. The internet was dismally slow during the first of my two days, but was significantly better the second day. Breakfast each morning was ample. The gym was small, but had a few good machines. There were no hand towels or water available, and no attendant. I've stayed in hundreds of hotels around the world, and this one just felt very average. On my next trip to SJ, I imagine I'll try to find something different. Located on pedestrian street (Central) in city center, walkable from the bus station (we arrived on Station Wagon bus from Alajuela), and many eating options near by. Overall, a convenient place to stay if you're traveling through San Jose. My stay was great! When I arrived I had a terrible stomach flu and the woman at the desk coordinated things so that our room would be ready for us ahead of check in time. She was such a lifesaver! They were also great with helping us book tours and give recommendations on places. I would totally stay here again! Restaurant was very unpolite manager,oly because I like a big size of the glass,Manager was loud and uncourtesy, not professional directly to me ,I ask employees of the restaurant about him, all the employees are not happy on the way that he direct people very angry,loud, scream and doesnt have matter with any person in his staff in the restaurant,very selfish, and unpolite matter he is the manager of the restaurant, everything else was okay. I was only at the hotel briefly (one night) while transiting San Jose. It wasn't expensive but the room was less than I would have expected -especially if I had paid full price (and not got an Agoda discount!) We organised a shuttle to the airport the following day but the staff weren't very clear about the process and we ended up taking a private taxi. Also the staff at the info desk were not even able to provide a map of the area and gave misleading information about the time it took to reach a nearby attraction. we had a very nice stay in this sympathic but big hotel,directly in te middle of the city. they have beautiul newly redecorated rooms with hardwood floors, down comforters, flat screen tv's. we have stayed in this hotel many times since 2005, using it as our first and last night base and exploring many areas of costa rica. but this time we were pleasantly and very happily surprised to see it has gone through a beautiful renovation. the rooms have hardwood floors, down comforters, and many upgrades. our room was spotless and well appointed. the only drawback is the tiny bathroom which while spotlessly clean is still tiny and not newly renovated. the complimentary breakfast is wonderful with plenty of choices and fresh made to order omelettes, eggs etc.. lots of fresh fruit, breads, cereal, gallo pinto etc.. and some of the best coffee in costa rica. nice clean hotel in a pedestrianised central area of the city.the staff were pretty good, the rooms were quite a reasonable size, the shower was hot with a good water pressure(unlike many in central america)and the breakfast which was included in the price, was pretty decent but finished at 9am sharp. they have an adjoining restaurant that serves good food in the evening, and we were pretty happy with this hotel at the price we paid.they provided a business centre with 2 computers in the lobby free but charge for wi fi ! have a safe deposit system adjoining reception free.all in all you could do a lot worse. The stay in Balmoral Hotel was pleasurable. The staff were accommodating and the location was perfect. Calle Central is just a door step. I will stay in this hotel the next time I return to San Jose, Costa Rica. I highly recommend this hotel. Room with enclosed balcony overlooking pedestrian only Avenida Centrale was very nice. Hotel offers free wifi only in lobby and business center. , in the past the wifi was free in my room. 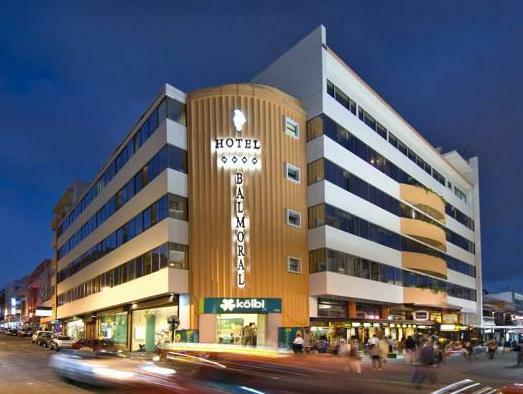 great location right on a walking shopping street with a helpful english speaking staff. Nice buffet breakfast included. Great location because you can walk out the front door and walk 10 steps and start shopping. Breakfast starts at 6:00 for and early start on the days plans. My double bed room had 4 pillows per bed and nice ones. Bed was very comfortable. Lobby of hotel opens up to walking only shopping area. The staff,rooms and location are great. Breakfast is included which is a nice way to start the day. Are stay in costa Rica was very nice, the people are very nice and helpful unlike Europe. Food is very bland not much taste to it.